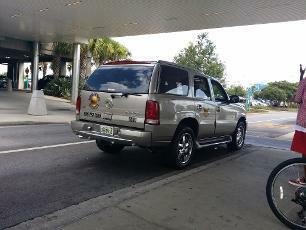 5, 6 & 7 Passenger LUXURY S U V only Taxicab Services in the Escambia County & Santa Rosa County Areas. 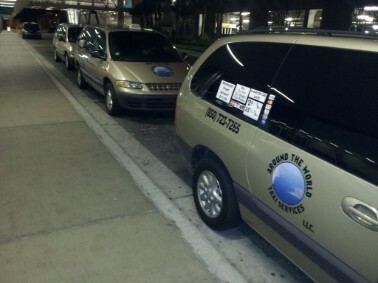 Providing Professional, Courteous, Cleanly presented, Non Smoking & Odorless (7) Passenger Vehicle(s) for hire; operated by hand picked & skilled driver(s) with spotless Florida Motor vehicle Records (MVR's) know the surrounding area very well; "consequently reducing the price/fare on the taxi meter." 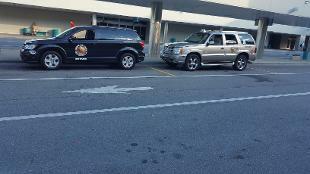 Easy scheduled pick ups to "PNS" Pensacola International Airport from or to your destination or origin. Scheduled pickups are also available to & from our military bases including Corry station or "NASP" Naval Air station Pensacola. Going to a wedding or that special event somewhere and you need that extra room for you & your guests? Call us. but we ask you give us a minimum of 24 hours advanced notice prior to actual pick up. 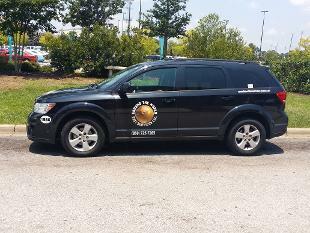 No matter what your personal transportation needs may be please feel free to give us a call @:(850) 723-7265 to arrange all of your transportation needs with a virtually effortless scheduling process. WELCOME TO DOWNTOWN PENSACOLA. AMERICA'S 1ST SETTLEMENT! 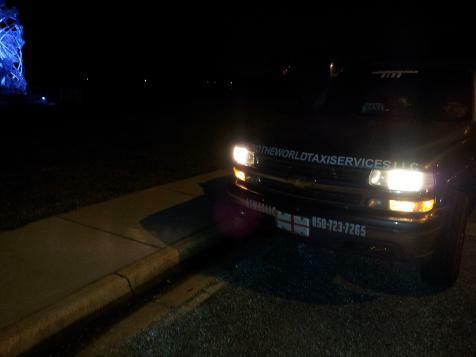 TAKE A RIDE WITH US, WE BELIEVE THE CUSTOMER IS ALWAYS 99% RIGHT. AVAILABLE UPON REQUEST, OR SIMPLY JUST BY CHANCE. 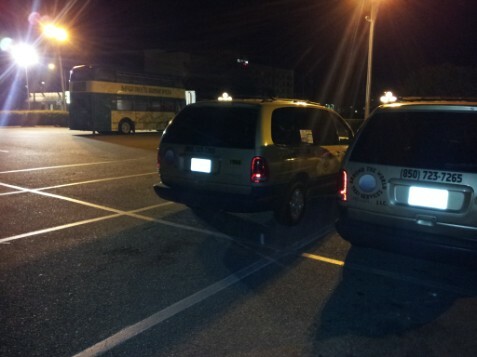 WE DON'T CHARGE EXTRA BECAUSE THE CLASSIFICATION OF VEHICLE LIKE OTHER TAXI COMPANIES IN THE AREA DO! JUST BECAUSE WE VALUE OUR CUSTOMERS & CUSTOMER SERVICE. THE SEVILLE QUARTER, HOP JACKS, VINYL, WHATA BURGER, WAFFLE HOUSE, SAMMY'S, INTERMISSION, ALTHOUGH THIS IS JUST A FEW OF PENSACOLA'S FAVORITE PLACES TO OUR LOCAL CUSTOMERS THERE ARE MANY MORE PLACES IN TOWN THAT WE WILL BE HAPPY TO TAKE YOU & YOUR PARTY TO AND/OR PICK YOU UP FROM . JUST BECAUSE THEY ARE THAT GOOD: WE STRONGLY RECOMMEND McGUIRES IRISH PUB AS ONE OF OUR FIRST & FOREMOST RECOMMENDATIONS FOR A GREAT PLACE TO EAT THE BEST FOOD & HAVE A GREAT BEVERAGE WHILST ON BUSINESS OR VISITING PENSACOLA FOR WHATEVER THE REASON! 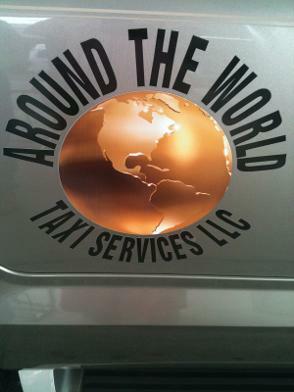 Taxi Services & tour guides with quality clean & odorless transportation. 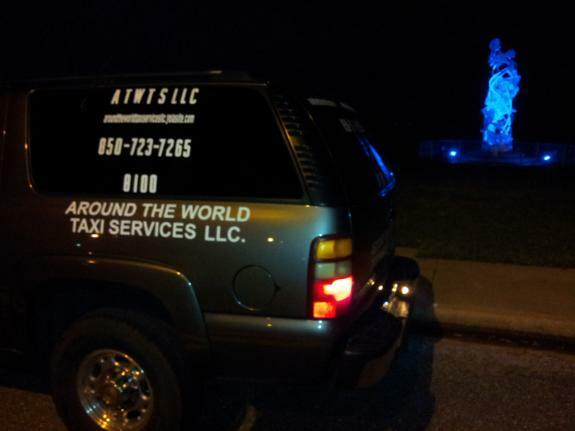 Taxi services for hire provided to our Military, Business clients, vacationers, Local residents, people new to the area, fun-seekers needing a safe trip home. 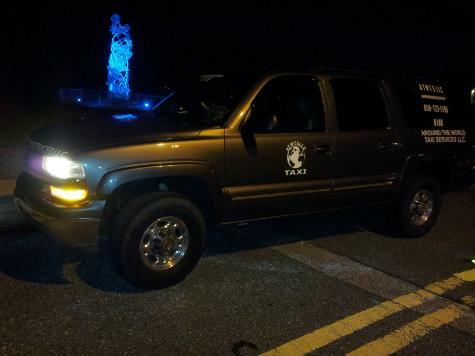 Currently serving the Escambia County & Santa Rosa County Areas. 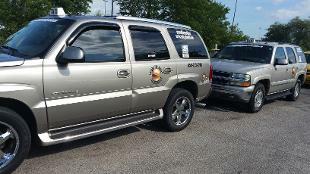 WE ARE DAILY STATIONED AT PENSACOLA INTERNATIONAL "PNS" AIRPORT AND CONTRACTED PICK UPS ARE ALWAYS AVAILABLE UPON REQUEST IF YOU ARE A BUSINESS EXECUTIVE CONDUCTING BUSINESS ELSEWHERE OR JUST TRAVEL CONSTANTLY TO & FROM PENSACOLA PREARRANGED AIRPORT CONTRACTS ARE ALWAYS AVAILABLE. 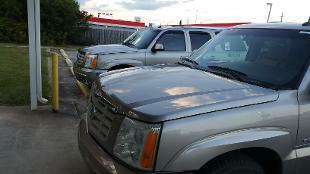 ALL CONTRACTS ARE GOOD FOR 1 FULL YEAR BAR 1 DAY, CONTRACTED PICK UPS ARE BY FAR THE BEST WAY TO AVOID DELAYS. IF YOU ARE IN THE HABIT OF SAVING YOU OR YOUR COMPANY MONEY A CONTRACTED SERVICE IS THE BEST WAY TO TRAVEL WITH OUR COMPANY AND THE ONLY WAY TO NOT PAY THE FULL PRICE OF THE TAXI METER. PLEASE JUST ASK ONE OF OUR DRIVERS FOR DETAILS! ALWAYS EAGER TO SERVE OUR CUSTOMERS & GET THEM HOME SAFELY FROM A NIGHT OUT OR DINNER AT PENSACOLA BEACHES NUMEROUS FINE DINING ESTABLISHMENTS. WHAT PRICE THE TAXI METER READS! 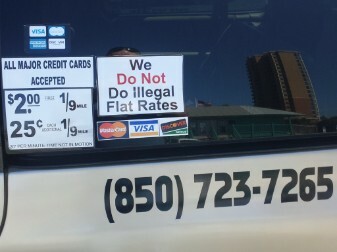 IT IS CONSIDERED TO BE A CRIME IN THE STATE OF FLORIDA TO NOT PAY THE TAXI METER. THE DEPARTMENT OF WEIGHTS & MEASURES. DUE TO FAULTY INSTALLATIONS & UNCALIBRATED INSTALLATIONS BY UNREGISTERED TECHNICIANS. 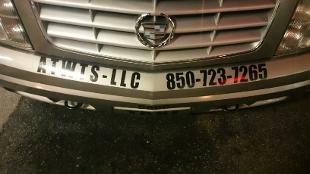 WE DO THINGS THE LEGAL WAY! JUST IN CASE YOU DON'T LIKE TO CARRY CASH!